Smart bikes are on the rise, but most of us are still riding traditional non-electric bicycles in the meantime. 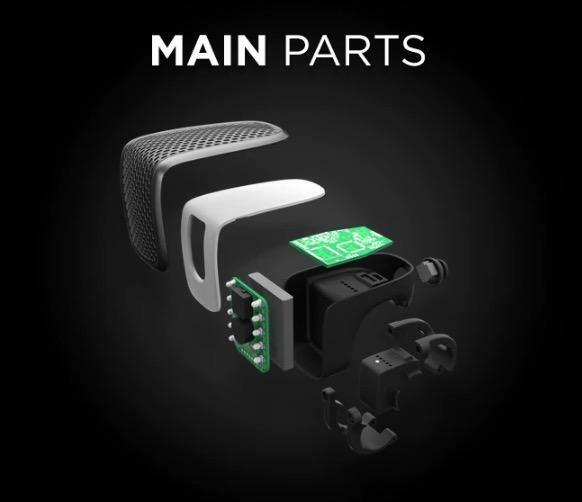 There are plenty of accessories that can give your old bike a smart feature or two, but one new pocket-sized gadget promises to totally transform your biking experience. 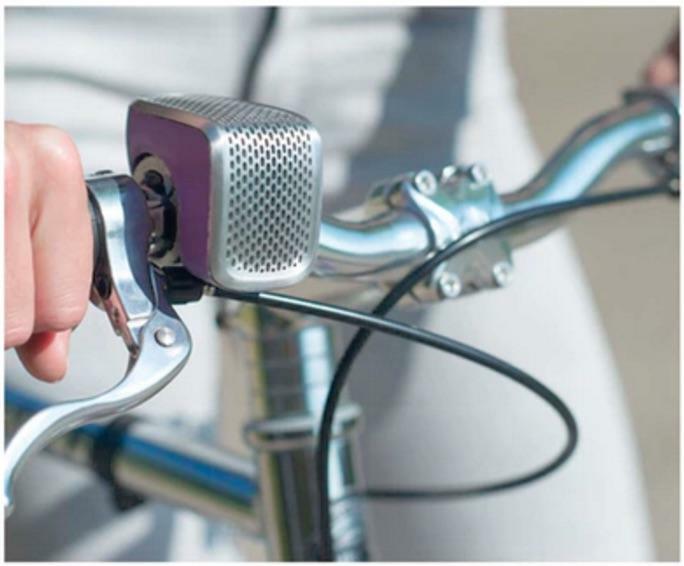 Shoka Bell is a bike bell, a light, a navigation tool and a security device all in one beautiful package. 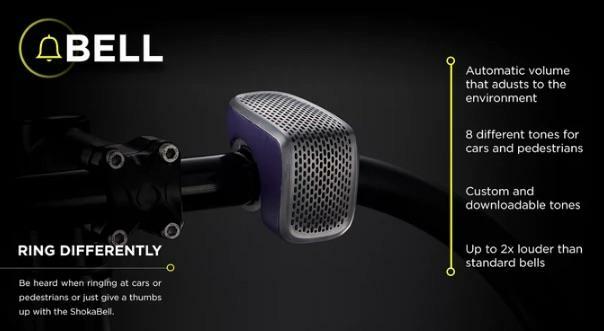 Shoka Bell isn’t just a bell, but it’s arguably the best bike bell of all time thanks to some high-tech enhancements. Using a physical joystick you can play different polyphonic sounds based on the situation (a loud honk for aggressive cars or a friendly ring for pedestrians). 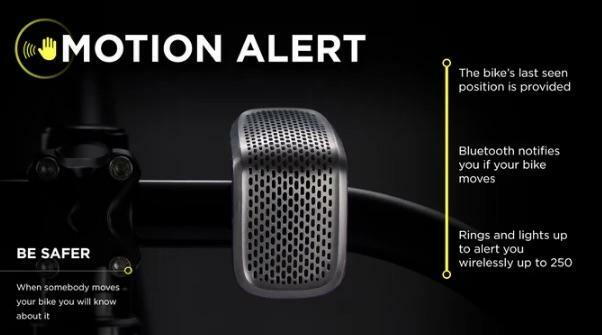 It also uses a built-in microphone to measure ambient noise and change the volume accordingly, and it’s twice as loud as a traditional bike bell at full volume. The device also features a panel of LED lights hidden behind a perforated aluminum panel that curves around the front of the design. 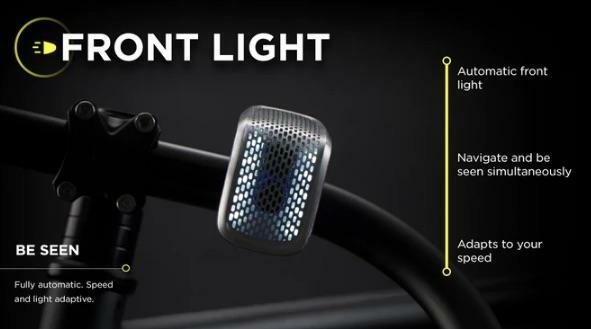 The front-facing lights will make you visible in the dark without blinding other people, and they adjust automatically to ambient light and based on your speed. The company says its working on a matching back light for future release. The top of Shoka Bell is also covered in lights, which transform into arrows to guide you through turn-by-turn directions. 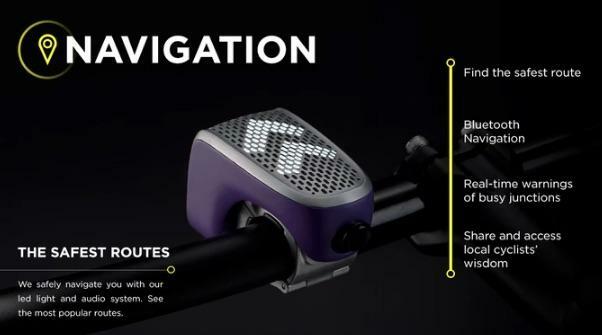 The device connects to your phone via Bluetooth and promises to find the best possible biking route while helping you avoid dangerous intersections and steep hills. 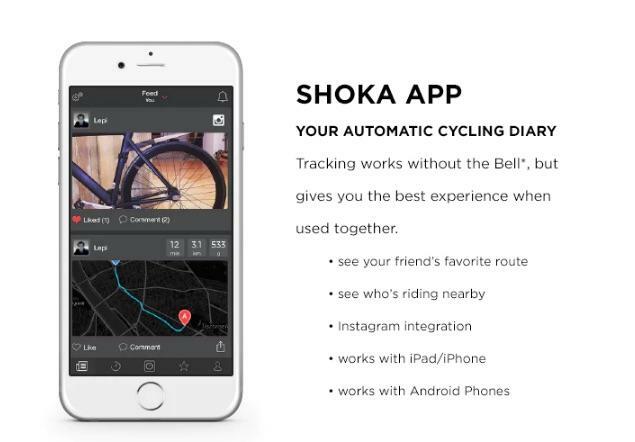 Finally, Shoka Bell can keep your bike safe when you’re not using it. 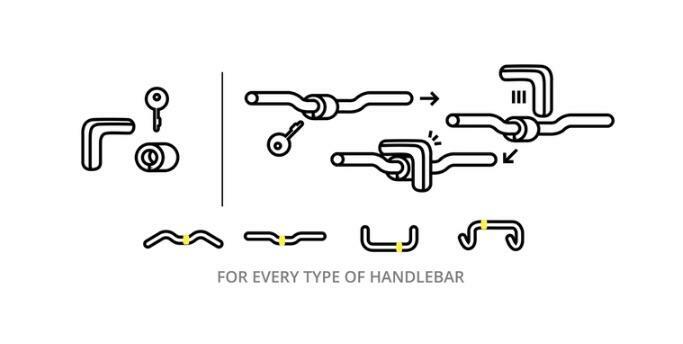 Just remove the bell from its magnetic dock, which stays locked to your handlebars. 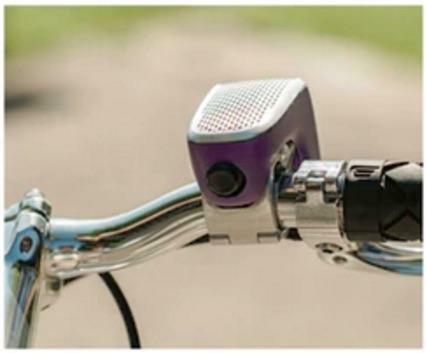 The device will register where you leave you bike and alert you if it moves by ringing and lighting up, though that feature only works from up to 250 meters away. 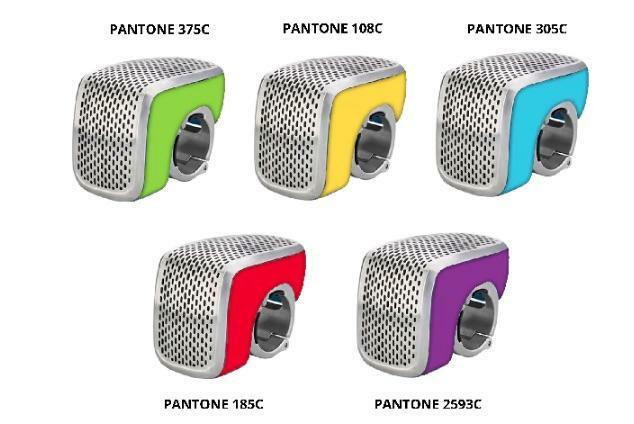 The bell features a modular design, allowing you to mix and match different metal and plastic parts in various color combinations. 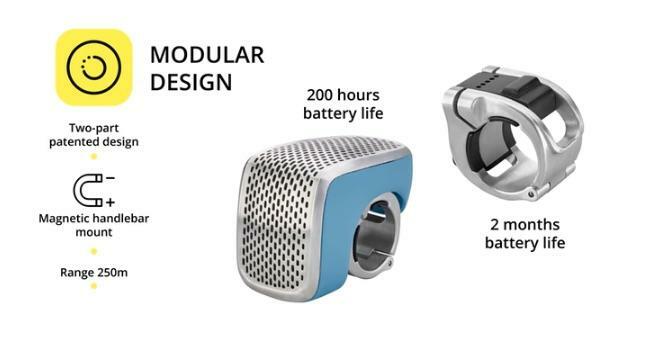 It also packs a 200-hour battery so you don’t have to worry about recharging all the time, and there’s a special app for Android and iOS where you can connect with other users and see their favorite routes. 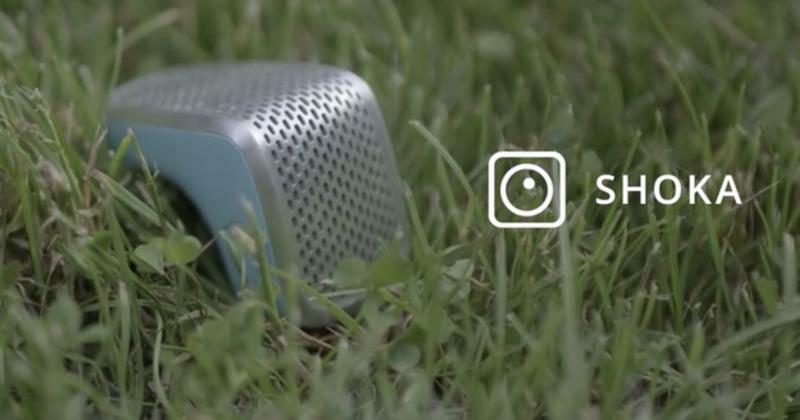 You can grab a Shoka Bell for as little as $99 on Kickstarter (plus $10 for shipping). That’s a nice discount from the planned $159 retail price, though you’ll have to wait until March 2017 (or possibly even later) for your order to arrive.